Is your roof leaking? Have your roof tiles seen better days? If your home is located in Brunswick and you need it restored, then you are in luck! ROOFWEST services all areas throughout the South West and has over 35 years of experience in repairing and restoring tin and tiled roofs and guttering of all ages and designs. Do you have water stains on your internal ceilings? Can you hear your insulation moving about in your roof? 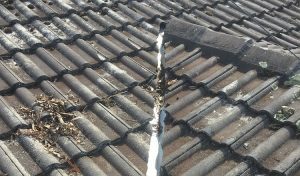 Can you see visible damage to your tiles, tin or guttering that needs to be replaced? You need to repair your roof before the damage gets worse and the costs get higher to fix it. ROOFWEST pride themselves on over 3 decades of service in the South West as a locally owned business. When you contact ROOFWEST, the owner of the business is the one who does the job, who sees it through to the end. Your satisfaction is their future business and they offer personalised service that only family owned, local businesses can. The team at ROOFWEST are regularly trained to ensure your roof is being repaired or restored in the safest and most efficient way possible. Their skilled tradesmen are accredited Dulux Roof Coaters as well as extensively trained in all areas of roof restoration and repair, as well as high pressure cleaning and gutter service. ROOFWEST not only repair you roof, they can restore it to its former glory with roof restoration services including painting and high pressure cleaning. 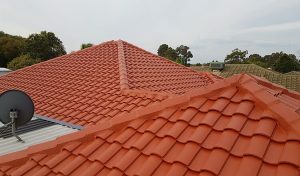 They can also re-point your roof and source matching tiles to replace cracked ones. Guttering is taken care of with skilled workers taking the time to replace or repair any faulty pipes or channels to compliment your restored roof or to simply re-establish efficiency to your drainage system. ROOFWEST is your number one choice for roof repair wherever you are located in the South West. For a free onsite quote, contact Tom on 9795 9990 today. Who Can Fix My Roof In Busselton?